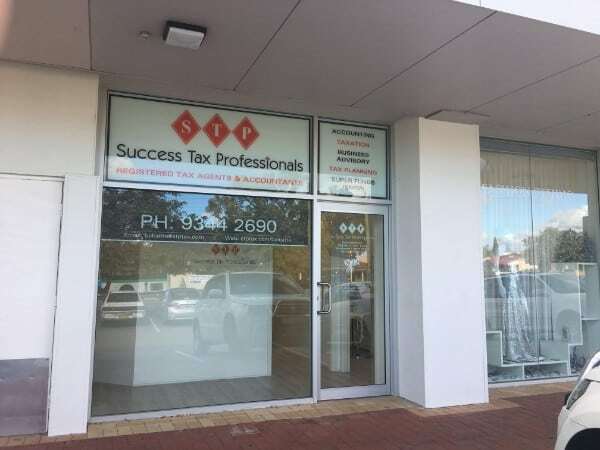 Success Tax Professionals is pleased to announce that Yeva Gibson has relocated to Balcatta, WA from Kelmscott, where she was formerly co-running her practice with Nina Wilkinson. Existing and new clients can find Yeva’s new office at Shop 7A / Northland Shopping Centre, 201 Amelia St, Balcatta WA 6021. The centre which includes Coles, a bakery, pharmacy, newsagency, a variety of food and beverage shops, and also Westpac Bank is a convenient location and easily accessible. The Balcatta practice offers appointments Monday to Friday 10.00am – 6.00pm. If you can’t attend during these hours you are welcome to contact Yeva for a weekend or after hours appointment. An extensive range of services are available for business clients, individuals and also self managed super fund clients. Make an appointment by calling: 08 9344 2690 today to discuss how you can save tax.